WISER - WISER is excited to welcome Dr. Fan Bai as a preceptor in our Visiting Scholars Program! My Portfolio > Article Archive > WISER is excited to welcome Dr. Fan Bai as a preceptor in our Visiting Scholars Program! WISER is excited to welcome Dr. Fan Bai as a preceptor in our Visiting Scholars Program! WISER is excited to welcome Dr. Fan Bai as a preceptor in our Visiting Scholars Program! Dr. Fan Bai joins us from Central South University Xiangya School of Medicine Affiliated Haikou Hospital in China where she works as a Cardiologist. Dr. 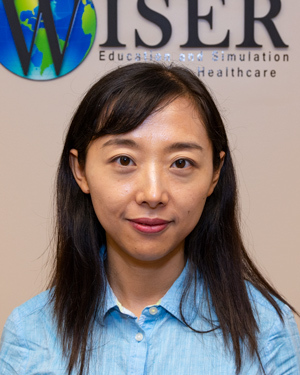 Fan Bai will be spending 3 months gaining knowledge about simulation for medical students to improve clinical skills and reduce errors, improve patient safety and learn how to standardize her training of medical students. We are happy to welcome Dr. Fan Bai and look forward to helping her accomplish her objectives!